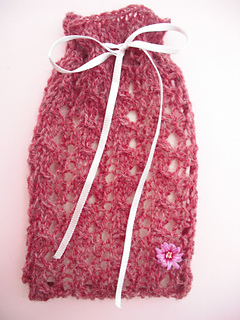 This is a quick to knit tiny lacy bag to include a gift of your choice. The size of the original bag is 4 x 6.5 inches but this is easily adjustable. Ideal to knit with oddments - any weight or composition of yarn can be used to give different effects.